Although I'm not from New Orleans, not from Louisiana, not even from the US, I love all the pictures of Mardi Gras and King Cake. I've been to New Orleans only once (I live in The Netherlands) and loved the city's vibe and the food. I've never eaten an original King Cake, the time I was in New Orleans wasn't around Mardi Gras, but I made my own version of the cake. For my daughters it's all about the little doll inside anyway. They want to be boss for a day so badly. Last year my husband found the doll, big disappointment to them, but this year they're sure one of them will find it. New round, new chance! 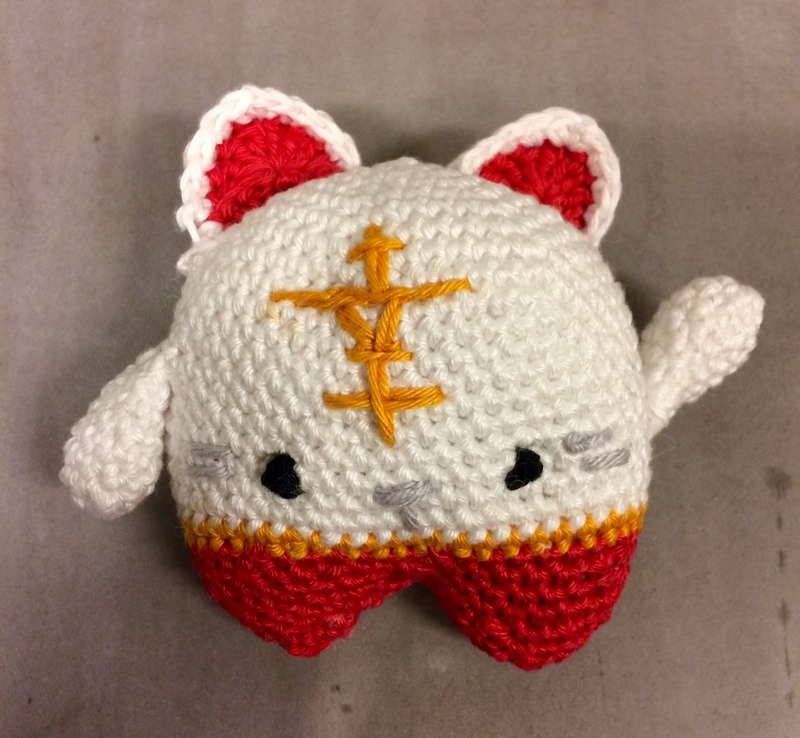 My Chinese Lucky Cat was featured by Strawberry Butterscotch! Cute version of King Cake, love the crown! Our tradition is if you get the baby, you have to give the next party! 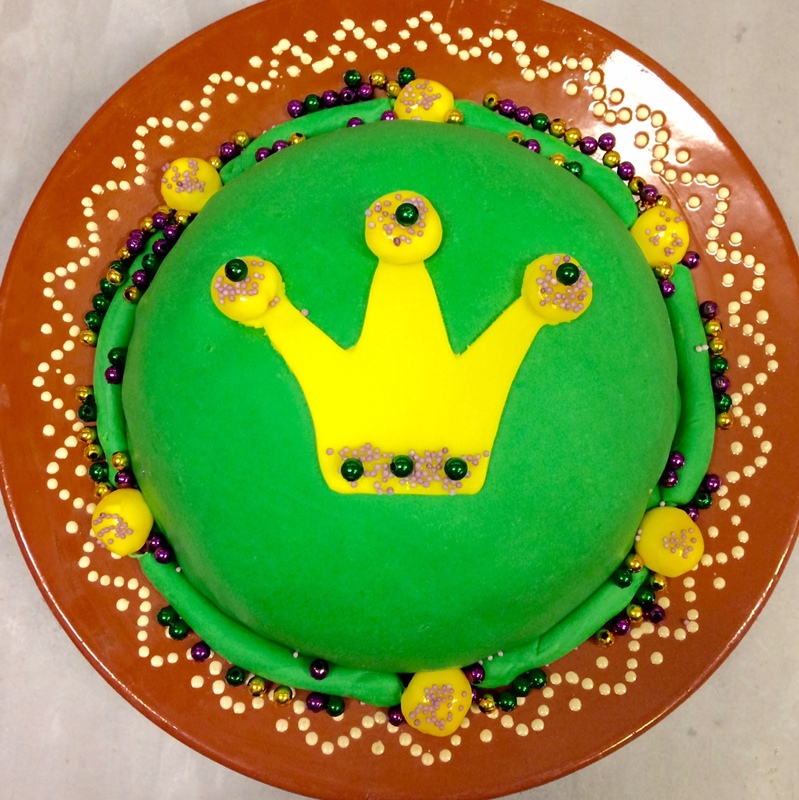 In the Netherlands (where Mardi Gras is called Carnaval and the cake's name is Koningscake) the tradition is if you get the baby, you're king/queen for the day, translated by my daughters into being boss and being in charge of what our family will do the whole day though (as long as it's reasonable of course). What a fun celebration cake Liz. Thank you for sharing at 'Create, Bake, Grow & Gather' this week. Liz, When do you put the doll in? During the baking or before the decorating? Sylvia D.
Instead of a doll I use a bean. I put it in the batter before I put the cake in the oven. I would love to go to New Orleans some day. I have never tried Kings cake. Would love to! Thanks for sharing with SYC. This king cake looks great! Thanks for sharing the recipe!